So, you’re finally going to visit Aushcwitz. Given the response I got from people when I said I was going, this has either been on your bucket list for forever, or you think this is a horrible idea and you’re being dragged by a loved one/feel like you have to go because you’re in the area. Who wants to spent time walking around a concentration camp after all? Me apparently! I fall heavily in to the former category and have wanted to visit Auschwitz forever. I love history and have studied this area heavily. 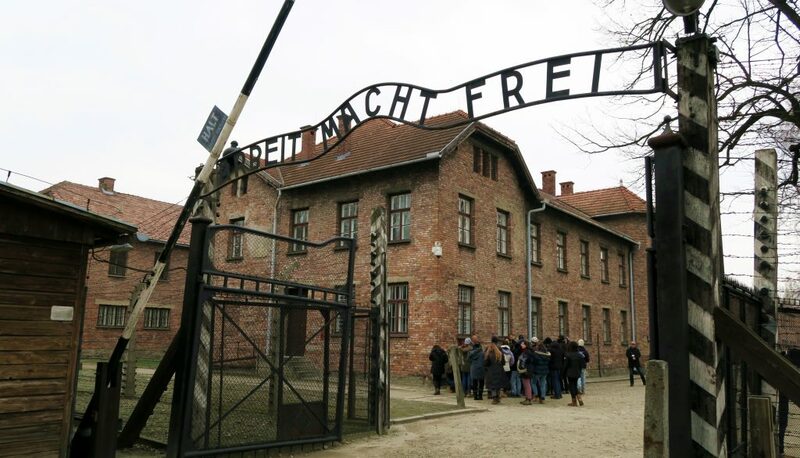 Entry to the camps is free, however you can pay to have a guided tour. From my understanding, in the peak months you have to join a guided tour. Our hotel had organised for us to have a whole day tour with Discover Cracow in which we were picked up from our hotel in Kraków, taken to Auschwitz for the morning (where the internal tour guides take over this section of your tour), returned to Kraków for lunch and then headed to Wieliczka Salt Mine for the afternoon. It was a long day but seriously worth it. 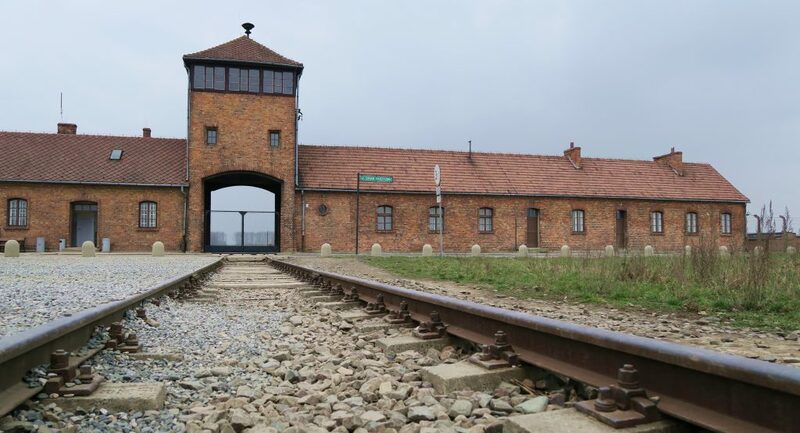 Auschwitz is split into three camps: Auschwitz-I, Auschwitz-II-Birkenau and Auschwitz-III-Monowitz. Auschwitz-I is where your tour will begin where the buildings are set up in museum-style with each one highlighting a certain area of life in the camps. The most disturbing “exhibitions” in my opinion were the ones showing the victim’s belongings. Piles of abandoned suitcases, piles of human hair, piles of discarded shoes, piles of Jewish prayer mats, piles of tangled glasses. Once the Nazis knew that the Soviets were on their way, the Nazis tried to destroy as much evidence as physically possible. 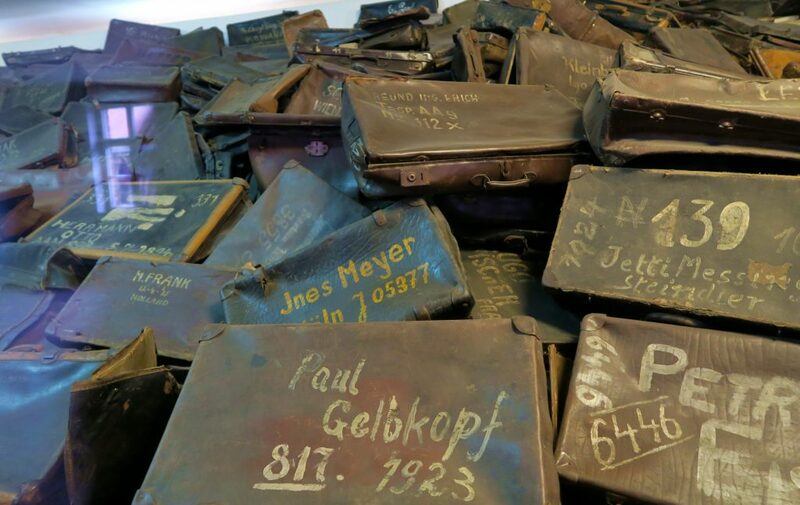 It’s hard to imagine that the piles of belongings on show are only a fraction of the total that were once there. Another element that I found quite disturbing were a corridor lined with photos of victims, in an almost “mug-shot” like fashion. Rows and rows of victims. All in their striped uniforms, tattooed with a serial number, their names forgotten. After you’ve been guided around the first camp, it’s time to jump on a bus and head to Auschwitz-II-Birkenau. The scale of this camp is absolutely insane. Rows upon rows of barracks which allow you to comprehend just how many people were held here. This is where you will find the infamous train tracks, a very eery sight. We were informed that there is very little left of the 3rd and final camp and therefore it’s not open to visitors. On the whole, I found the guided tour of the camp quite rushed. We were in a large group and were marched through the camp, seeing all of the sights but very quickly. An elderly couple on our tour struggled to keep up and I thought this was quite unfair. While you could tell the tour guide was very passionate about the subject, you could also tell she was restricted with time and had to get you around the camp as quickly as possible. Because of this, I felt like I didn’t quite grasp quite the horrors that have happened at the camps. More time to wander at your own pace, reading plaques, soaking in the information would have been good. As many of the buildings are now empty, I found it quite hard to visualise what things would have been like, especially when moving at such a fast pace. But perhaps that’s also due to the complete atrocities that happened here, it’s almost hard to imagine that anyone could be capable of such devastation. 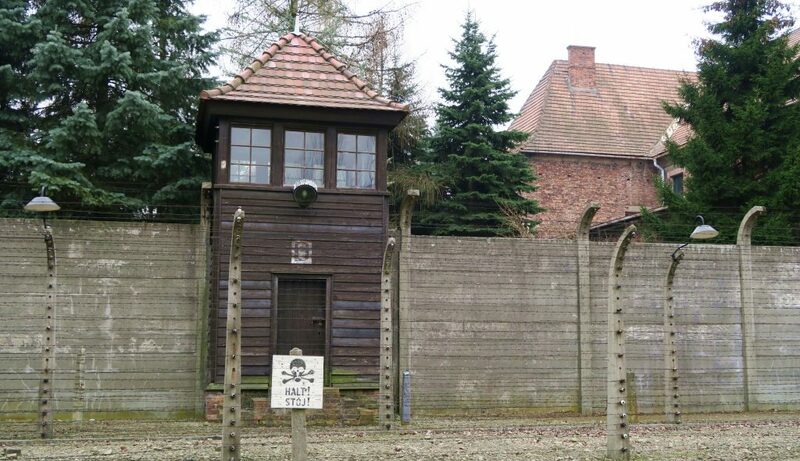 While concentration camps aren’t the happiest of places to visit and you’ll walk away feeling a bit depressed (some people I know have been utterly disturbed after their visit). I think it’s important that people continue to visit sights like this. Facing the reality of these sights is important, it helps us to recognise the cruelty within the human race. And after all, studying the past makes for a better future. 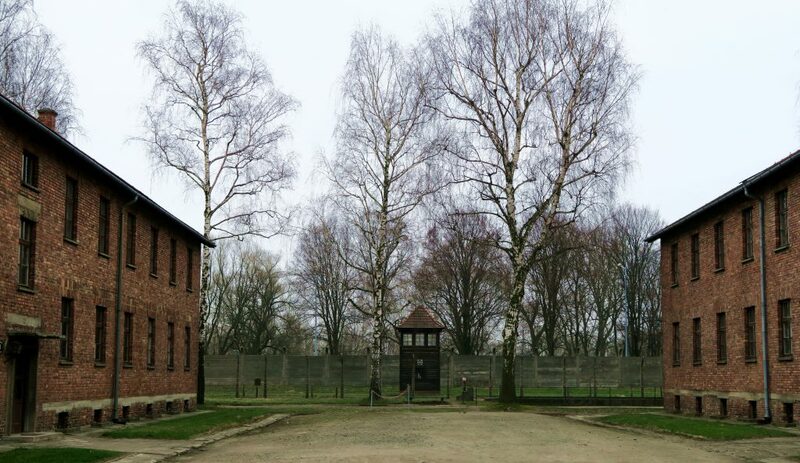 Have you ever visited Auschwitz or another “dark history” location? How did you feel afterwards? This is somewhere we want to visit but somehow I know it’ll be one of the hardest things I’ve ever done! 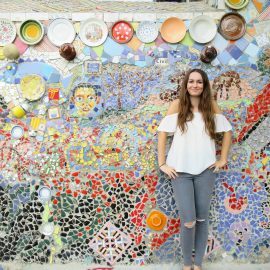 Interesting to hear your thoughts on the whole experience. I have heard from a few people that they felt the guide/tour was a little bit rushed. Your pictures however, are lovely. Oh wow, that post just brought back many memories and feelings. I visited Auschwitz in May last year and I left feeling a little disturbed, it didn’t feel real, my mind just couldn’t comprehend it. My boyfriend (Jack) and I didn’t go on a guided tour, it was just the two of us and as Jack had already been here before, he was able to give me a private tour. I found the whole experience to be very interesting and eye-opening but also very heartbreaking and mortified and just really, really sad. 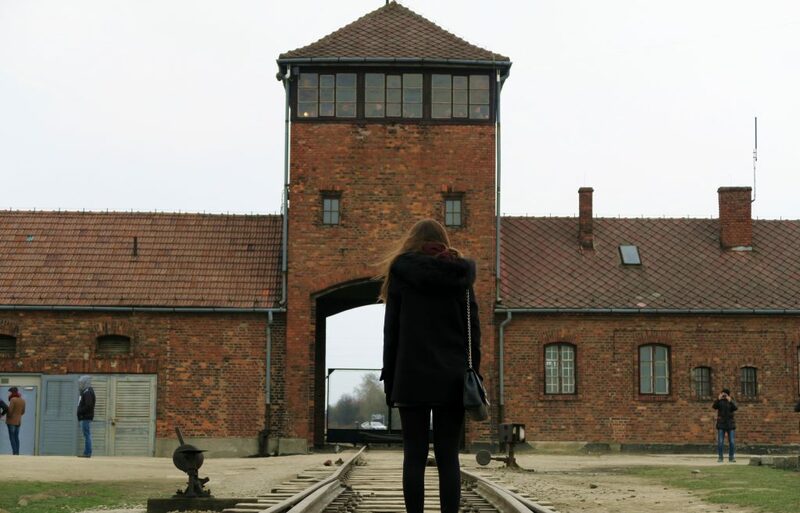 I think this is a really good post, I enjoyed reading it 🙂 I’m currently doing a travel diary on my blog and my version of Auschwitz will be up soon so thank you for the inspiration.